In 2014 Factory Benelux will mark the 30th anniversary of classic Section 25 album 'From The Hip' with an expanded double disc CD edition housed in a deluxe 6 panel digi pack. The bonus disc will feature several original album demos from 1983 as well as their BBC radio session (David Jensen) from 1984, along with remixes and a new group recording of Reflection. Reflection will also appear as a limited edition 7" single (500 copies only, 7 FBN 53) for Record Store Day in April 2014. 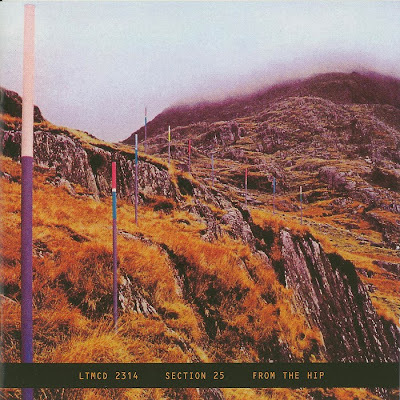 As well as the original Fact 90 artwork by Peter Saville and Trevor Key, the anniversary edition will come with a 12 page booklet including unseen photos, and text by Jon Savage, Vin Cassidy and others.